Rovers book a place in the final four of the Checkatrade Trophy with a comfortable victory at Mem over Port Vale. Ollie Clarke set the tone for the evening with a fine individual goal inside the opening twenty minutes. Inside the early stages, there was little to separate the sides, as chances proved to be at a premium. Rovers enjoyed the fair share of possession, but against an organised unit couldn’t force a way to more dangerous areas. The game enjoyed a much more lively tempo as the first half progressed. 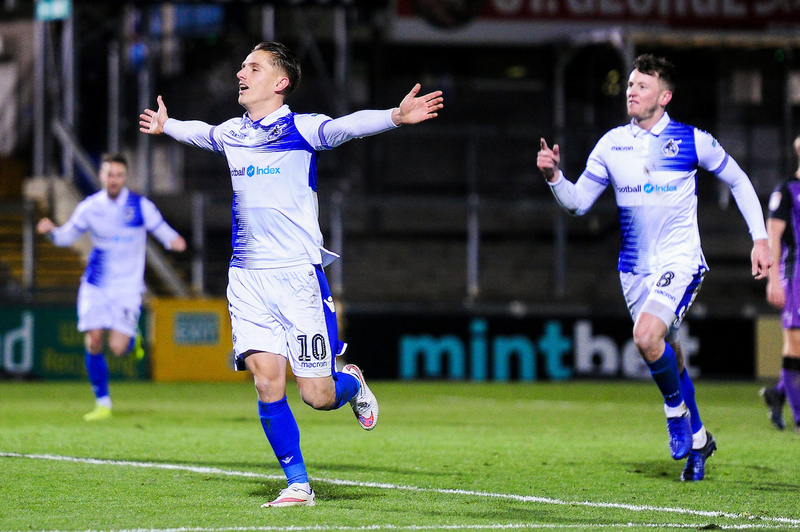 Rovers had a number of chances to test Brown in the Port Vale goal. The clearest cut opportunity came as Rodman drove in from out wide a looked to set the ball for Tom Nichols to glance home, but Theo Vassell bravely interfered and touched the ball away from the striker’s reach, just as Nichols was set to fire home. 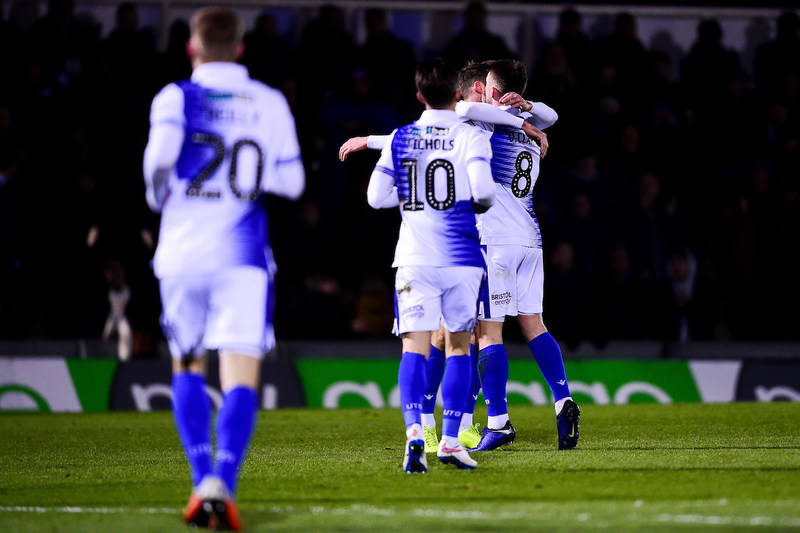 As the final forty-five minutes began, Rovers had to be alert to a number of deliveries forced into the penalty area, as a series of headers from Joe Partington and Tom Lockyer eased the danger for Coughlan’s side. Lockyer was called upon to make a vital challenge to halt a forward run from Danny Elliot, as the substitute looked set to run in behind the Rovers back-four. The chances kept coming from Rovers, as Ollie Clarke forced Brown into making a stop down to his left with a smartly struck strike that the ‘keeper couldn’t until the last minute. Rovers XI: Jack Bonham (GK), Joe Partington, Tom Lockyer (c), Tony Craig, Tareiq Holmes-Dennis, Ollie Clarke (69′ Ed Uspon), Chris Lines, Kyle Bennett, Alex Rodman (69′ Liam Sercombe), Gavin Reilly (80′ Alex Jakubiak), Tom Nichols. Port Vale: Scott Brown, Luke Joyce, Anthony Kay (C), Emmanuel Oyeleke, Ricky Miller (64′ Ben Whitfield), Luke Hannant (64′ David Worrall), Connell Rawlinson, Nathan Snith, Theo Vassell (45′ Danny Elliott), Tom Conlon, Mitchell Clark.